"Americans will have less disposable income," one expert predicts. The U.S. is in a full-blown trade war now — and your wallet and paycheck may soon see the effects. American consumers can expect higher prices and diminished economic opportunity if President Donald Trump follows through on his threat of levying 10 percent tariffs on an additional $200 billion in Chinese goods and China responds in kind, as it has vowed to do, experts say. The latest salvo comes in the form of a 205-page list of proposed items published by the Office of the United States Trade Representative. Products that could be targeted include critical farm machinery parts, consumer electronics and aesthetic goods, like ornamental fish and antiques. Experts say prices at the supermarket, as well as at clothing and electronic stores that carry the targeted goods, could rise if retailers decide to pass the increased costs down to consumers. 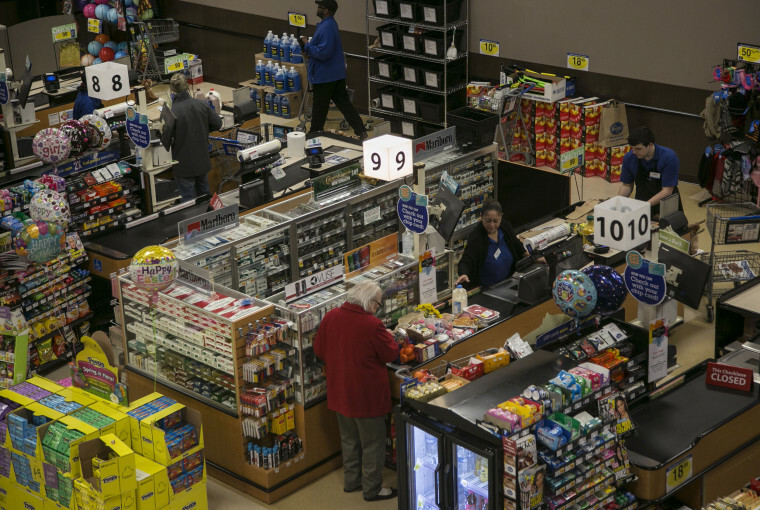 Or shoppers may gradually see prices everywhere rise as stores try to spread out the damage. The impact on each price tag may ultimately be small, but it all adds up. "Few people will notice an increase in the price of goods on the order of a tenth of a cent," Sharon Traiberman, assistant professor of economics at NYU who researches international trade and labor economics, said in an email. "So it’s not about everyone feeling worse off, it’s that despite the small impact per person, this is very costly in the aggregate." If businesses try to cover some of the costs themselves, the effect is less visible but potentially more pernicious. "That’s less money to hire workers, less money to invest in new facilities," said Scott Lincicome, a trade lawyer and adjunct scholar with the Cato Institute, a libertarian think tank funded by the Koch brothers. Trump has said he is protecting American jobs and industries and safeguarding national security. History has shown, however, that while protectionist measures aim to protect industries and employment, they actually end up slowing economic growth. The Smoot-Hawley Tariff Act of 1930 raised protectionist tariffs against over 900 goods in order to help with the Depression. U.S. industries enjoyed a short-term bump, but the Gross Domestic Product by 1933 had fallen to $56 billion, down nearly half from $103 billion in 1929. Farmers interviewed by NBC News say they have faith that the trade war is a tactic: short-term pain to get to what they see as long-overdue trade rebalancing. Illinois soy farmer Matt Swanson cited in an online message China's history of using tariffs for reasons American farmers felt were in bad faith, like a 13-year ban on American beef due to mad cow concerns and overly restricting genetically modified corn imports. But even if Trump succeeds in his stated goal of using the trade war in order to get to a free trade deal, once overseas buyers switch their business elsewhere it can be hard to earn back, even after the trade barriers fall, trade experts say. And by creating opportunities for other countries to ramp up production, new competition is created that could outlive any trade dispute. "You're removing money from consumers pockets that could be spent on goods and services. That’s money you can’t spend on vacation, it disappears," Linciome said. "Americans will have less disposable income. That’s less money they can put toward their child's college account."